The Bacchus Marsh Express was founded by George Lane, a book binder, and the first issue was published on 7th July 1866. The second edition was published by the Bacchus Marsh Express printing co. Which consisted of: Dr. Rae (editor), Rev. James Scott, John Saunders, James E Crooke, James Young, William Watson and George Lane (printer). This Syndicate failed after three months and the ownership was then taken up by Lane and Christopher Crisp, an Englishman who had been employed as a compositor by the company. Crisp was the editor of the Express from 1866 till his death in 1915 when he was succeeded by his son, Christopher till 1932 and his grandson, FCM. Crisp, thereafter under Crisp's direction, the Express widened its readership and was subscribed to by public men and civil servants in Melbourne. In the 1870s Crisp argued for the extension of government responsibilities as a basis for social and political a basis for social and political progress. In the 1880s Alfred Deakin and James Service acknowledge the influence of the Express on their legislative thinking and its proposals for Federation were debated during the drafting of the Federal constitution in 1895-98. The original cottage, consisting of three rooms with outbuildings at the rear, was constructed for George Lane prior to 1868 (the date that the road was raised) and probably at about the time the original cottage at No. 10 Gisborne Road was constructed, c.1860. Lane, a book-binder had arrived in Bacchus Marsh in 1856 to join his brother-in-law, William Watson. It is likely, given the family connection, that Watson was the builder of Lane's house. George Lane was the printer of the first edition of the Express and later took up its ownership with Christopher Crisp (Crisp married his daughter in 1873). He remained as printer of the paper until 1899 and saw it through its most influential years. The original house was constructed of sandstone and rendered brick with a shingled hip roof and a skillion at the rear. The front facade was symmetrically planned with two sash windows about a central door. The only embellishment to these openings is a vermiculated keystone over the door. The roof was continued to form a verandah on simple timber posts with a picket fence between. In c. 1910 an additional projecting gabled bay was added to the south of the house and the verandah was extended and the pickets replaced with hoop-wire. At this time the roof was re-clad with corrugated iron, the shingles remaining underneath. The ceilings of the front rooms were also refinished with covered boarding. Later, in c. 1923, two additional rooms were constructed at the rear in weatherboard and the hallway was panelled. The outbuilding seems to have had three stages of development. The northern half has the oldest form of weatherboard and probably had a shingled skillion roof. 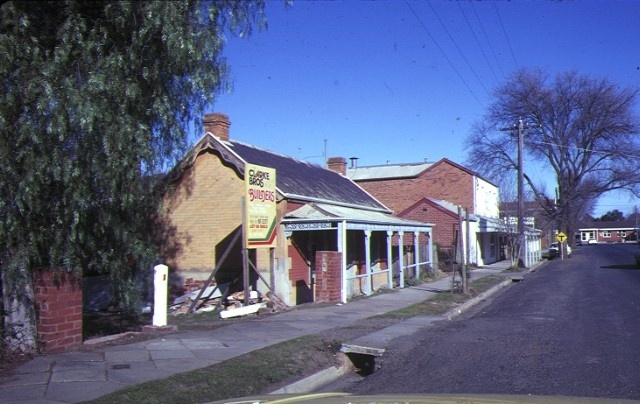 The remainder was added before 1900, it appearing in a photograph of that date held by Mrs Nancy Simmons of Bacchus Marsh. 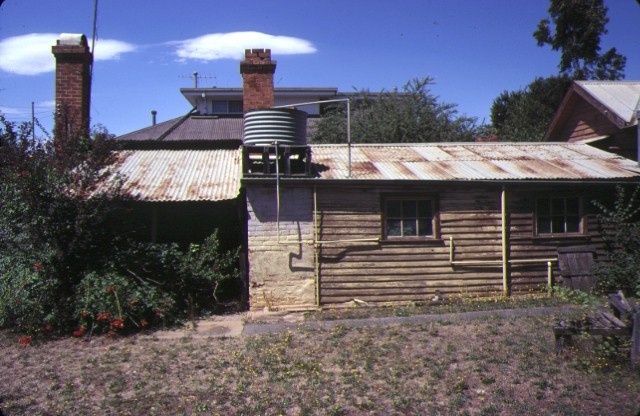 The building is clad with three types of weatherboard and has a gabled corrugated iron roof. 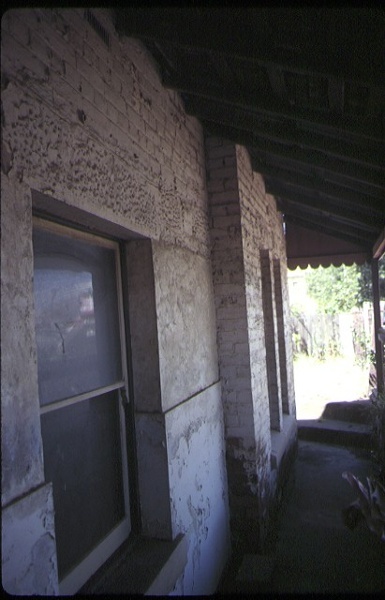 The older parts of the building have multi-paned windows with slender mullions and, of particular interest is the partition wall between the bathroom and the laundry which is clad with rough 10 inch boards. 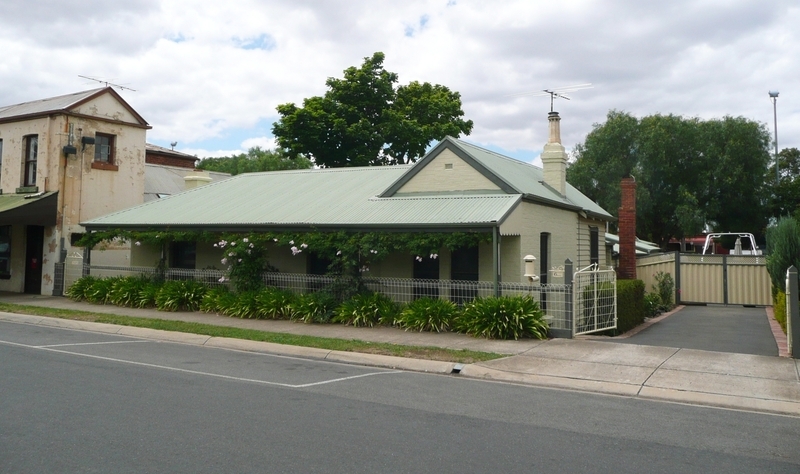 This house is one of three buildings adjacent to each other along Gisborne road all connected with the Bacchus Marsh Express. They are the office and on each side the homes of the original printer and editor. This building is of great importance as the home of George Lane and is an integral part of the Express complex. Historic Building No. 503 Dwelling, 6 Gisborne Road, Bacchus Marsh.